These are DD Rin Tohsaka’s feet, a bit stained from wearing her default socks and loafers. If you need to adjust the shape a bit, make as many outlines as needed, and then cut one out. And check the fit. In my case, the tissue was bunching in the heel, which meant I needed to shorten the back of it. 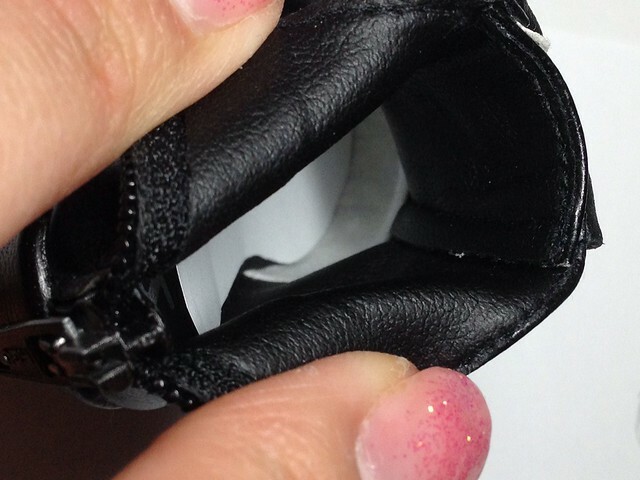 This is why I like using tissue for this “fitting” stage, because you can press it into the shoe and get a better idea of the fit. 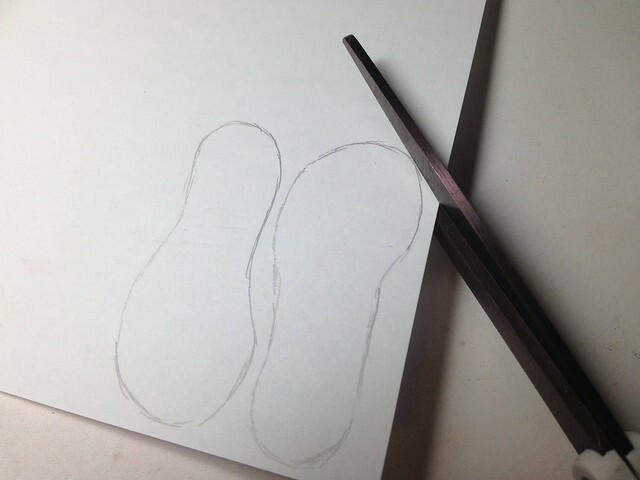 After making the necessary size and shape adjustments, I traced out another pair of insoles onto white paper. At this point I also measured the insole against a DD foot to make sure it was as long (or longer) than the foot. 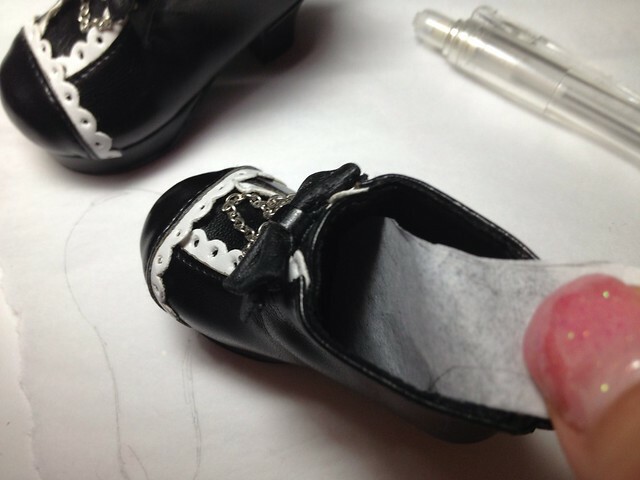 As I was studying the inside of these shoes I noticed something – Volks used a white PVC fabric to give shape and support on the inside vamp of the shoe! If they thought to use white there, why on earth didn’t they bother to make the soles in white too? Ugh! 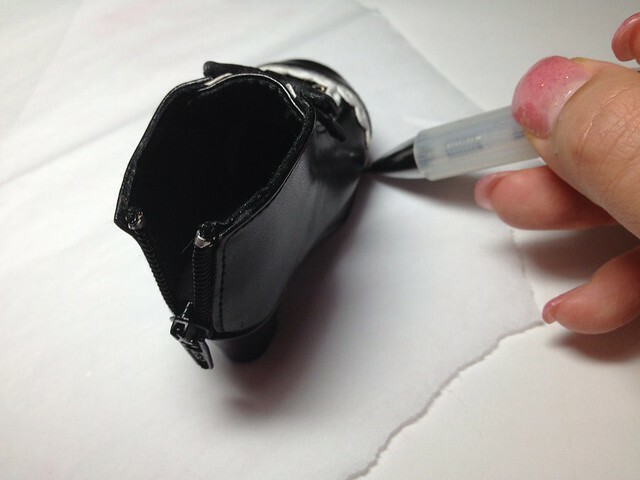 Here I’m inserting the paper insoles into the shoe. 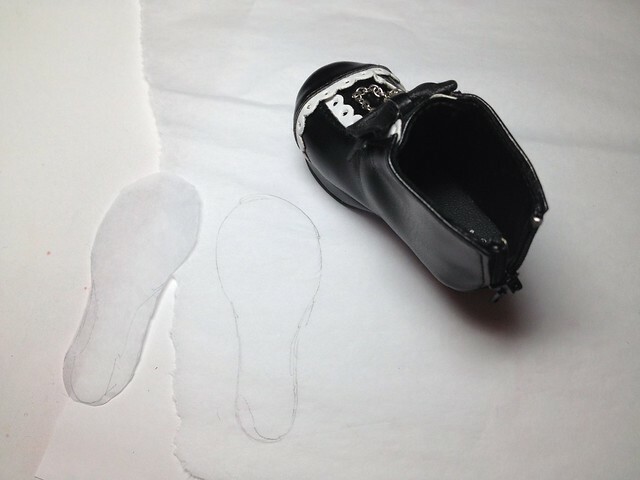 Since the paper is thicker than tissue, it helps to curve the front of the insole to feed it into the shoe. And here we have it! Nice white insoles so that your Dollfie Dream won’t get stains on her feet! 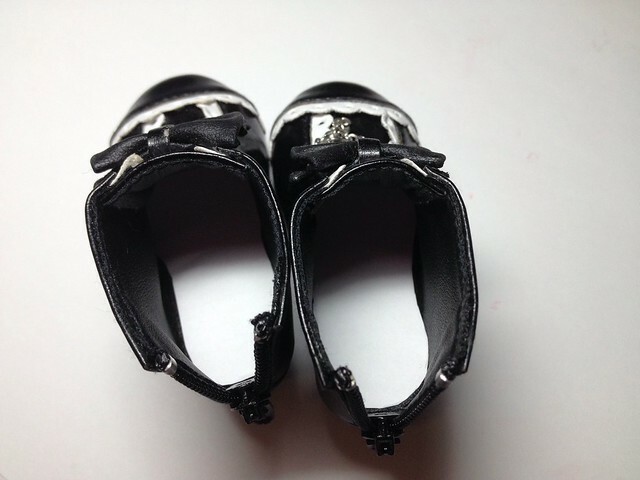 This is just a “quick-fix” since I only plan on having my DD girl wearing these shoes for a few hours. 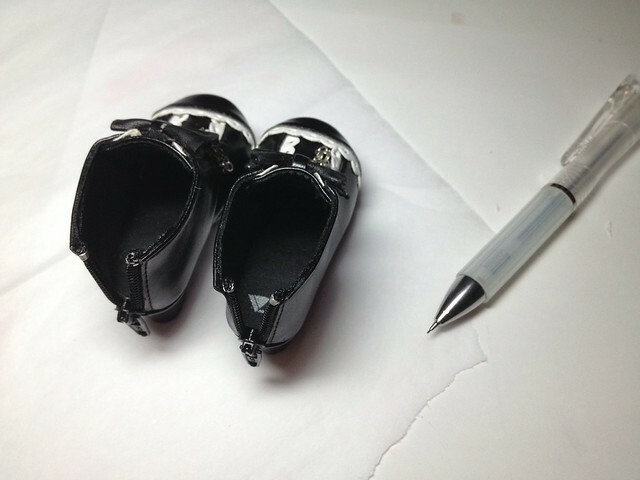 If you leave your doll wearing dark colour lined shoes for longer periods of time they could still stain, so be sure to take proper precautions. This entry was posted in Dollfie Dream, Tutorial and tagged Dollfie Dream, insoles, tutorial by archangeli. Bookmark the permalink.